Our libraries strive to promote reading and ensure that students and staff are effective users of information enabling them to be lifelong learners. Click the link above for operating hours and programs! 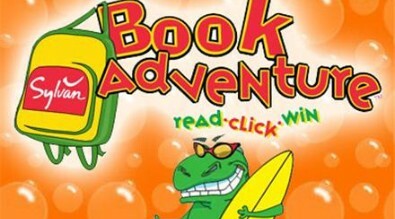 Student and Parents, this year the library is getting it's top readers through a FREE website called Book Adventure. Students where given a letter to take home at the beginning of the year, with instructions on how to get FREE stuff from the library, and various other companies, just by reading and testing the book on Book Adventure. Please email salina.villaneda@inglesideisd.org for any questions on how to get your child to participate. Click on Book Adventure picture to visit link. OVERDRIVE: Enjoy thousands of popular and best-selling eBooks and audio books free from your school library. Available to students & parents, faculty & staff on any device. For desktops, click the icon above. For devices, download the free OverDrive Media Console APP from iTunes or Google Play. Stop by the library or email Ms. Villaneda, your District Librarian, for help with login information or other assistance. Log in is students ID#, parents and staff must email salina.villaneda@inglesideisd.org to get access. Click the icons below to access TexQuest digital resources! Stop by the library or email Ms. Allen, your District Librarian, for login information. Engaging online tool. Learn letters, words, numbers. sounds, time, geography, and more! Learn about people, places, & things. Search animal groups, use an atlas, explore countries, hobbies, & so much more! Kids InfoBits meets the research needs of K-5 students. It features a visually graphic interface, a subject-based topic free search and full-text age appropriate, curriculum-related magazine, newspaper and reference content for information on current events, the arts, science, health, people, government, history, sports and more. Topic pages covering today's most-studied subjects provide an overview and introduction to researchers by way of clearly-organized and authoritative content curated by expert editors. Research in Context contains books, images, biographies, audio, video, magazines, newspapers, creative works, primary sources, and more. TeachingBooks.net is a K–12 resource connecting cross curricular literacy materials to the titles used in classrooms and libraries, including resources to support ELL students and STEAM instruction.